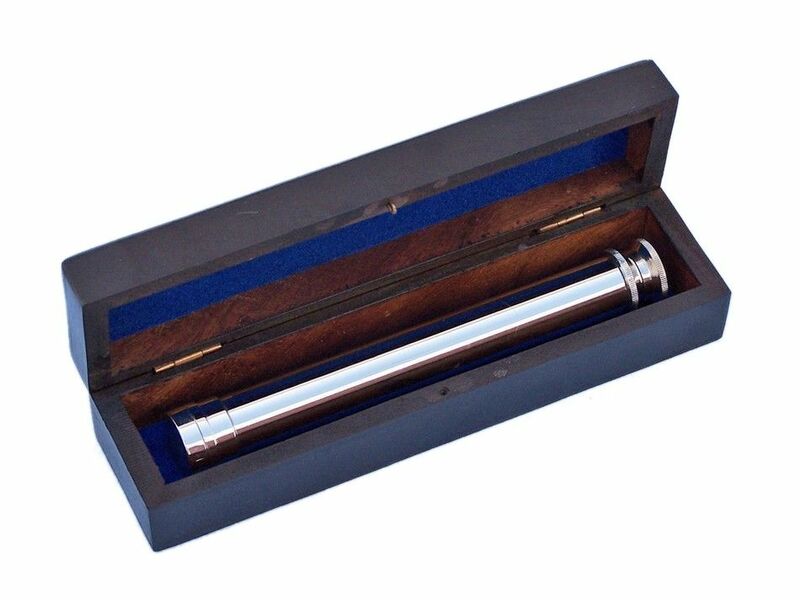 Deluxe Class Chrome Viewfinder Spyglass with Black Rosewood Box 10"
The Deluxe Class Chrome Viewfinder Spyglass with Rosewood Box 10" is a hand-held telescope that is beautifully decorative, adding a warm seafaring shine to any room it graces. The spyglass is exapandable and focusing is accomplished by adjusting the eyepiece ring on the telescope tube. 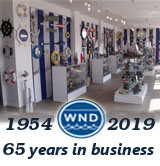 The nautical spy glass is equipped with up to 5x magnification, and a solid chrome cap is included to protect the lens when not in use.